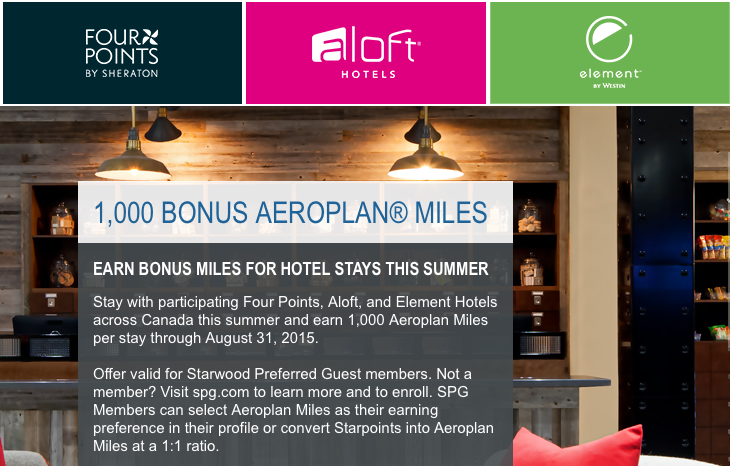 Four Points, Aloft, and Element Hotels brands across Canada this summer. miles is worth more to you than the AAA discount. Don’t forget to always check out Starwood Preferred Guest Bonus Starpoints page before every Starwood booking you make to ensure you aren’t missing out on any bonus points!